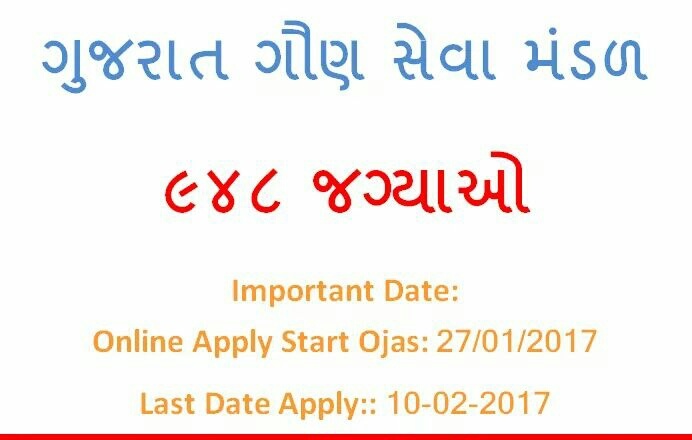 Gaun Seva Pasandgi Mandal (GSSSB) has published a Advertisement for below mentioned Posts 2017. Other details like age limit, educational qualification, selection process, application fee and how to apply are given below. 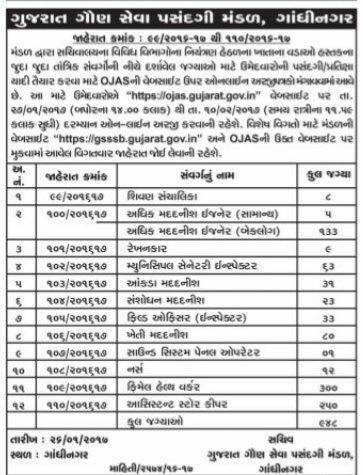 Application Fee: Candidates have to pay of Rs. /- + Rs. 12/- (Postal Charges) through challan at computer based post office. Selection Process : Candidates will be selected based on written exam & computerproficiency test.